You don't know the true meaning of "holiday spirit" until you've watched the Radio City Rockettes and Ciara co-teach a dance class. We hold this truth to be self-evident: The world-famous Rockettes and R&B/pop star and pretty darn good dancer Ciara are the queens of their respective realms. So what happens when these regal showbiz royals join forces to celebrate new jewelry inspired by the Radio City Christmas Spectacular? The most epic dance class ever, that's what. Earlier this month, a small group of editors was invited to the Rockettes' official rehearsal studio at Radio City Music Hall to learn an excerpt from the Christmas Spectacular's new-for-2018 finale, "Christmas Lights," as well as a few eight-counts from the choreo for Ciara's single "Dose." No pressure! The occasion? 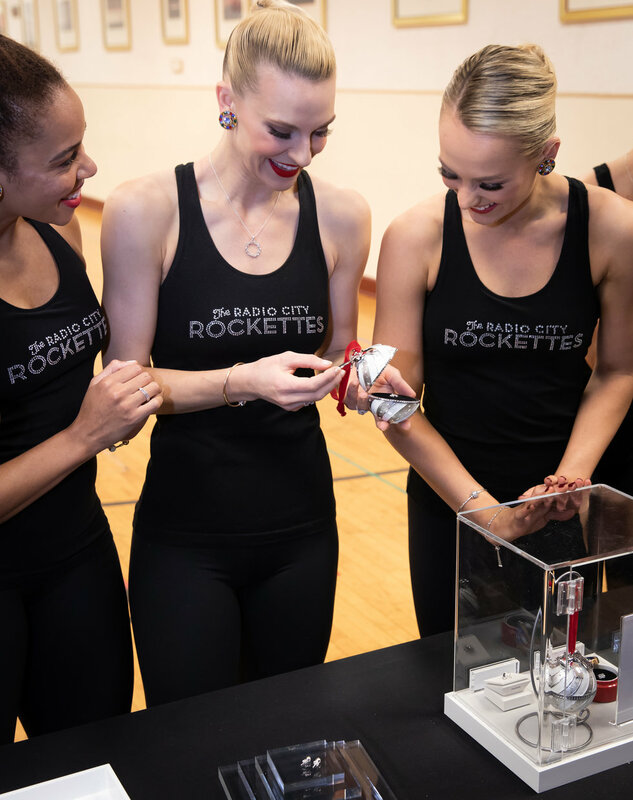 Pandora Jewelry designed two sparkly baubles to celebrate this season's run of the Spectacular, including an ornament inspired by the Rockettes' costumes for the beloved, long-running tap number "The Twelve Days of Christmas." Honestly, the winner is probably this oh-so-simple yet fierce moment. Together, the Rockettes and Ciara make SLAY bells ring.